If you have turned on the news lately, then you have likely seen a story about vaccinating children. As outbreaks of measles hit some areas, many are wondering if we are sliding backward when it comes to vaccinations. “Anti-vaxxers,” some of them celebrities, do not think that children should be vaccinated. However, all pediatric medical societies say that vaccines are safe and save lives. In Arizona, legislators recently advanced three bills that would make it easier for parents to get exemptions for their children to not get vaccinated. HB 2470 adds religious exemptions to laws requiring vaccinations and eliminating parental forms informing them of the consequences of not vaccinating their children. HB 2471 would require medical professionals to give parents detailed information about vaccines. Have you ever wondered what happens if divorced parents do not agree with one another over whether or not to vaccinate their children? When it comes to child custody in Arizona, we recognize that it can be a bit confusing. If you are in the process of separating, then you need to know that there are two types of custody: legal custody and physical custody. Most people think of physical custody when they think of divorces. Physical custody deals with where the child lives. However, legal custody deals with who gets to make legal decisions for the child while they are a minor. This can include things like medical, educational, and insurance issues. For both types of custody, it must be determined whether a parent has sole custody or whether the parents will share custody, known as joint custody. It can be different for both types. For example, one parent may have sole physical custody while both share legal custody and vice versa. 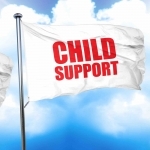 If only one parent has legal custody, the issue may seem fairly straight-forward. If that parent wants their child to be vaccinated, they will likely be able to do so. 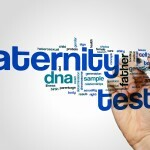 However, if the parent who has sole legal custody does not believe in vaccinating their child, the non-custodial parent could file a petition with the courts seeking a custody modification. In this case, the vaccination issue will likely go to the courts to settle. If parents already share legal custody but disagree on vaccinations, the case may also have to go before the courts. We know that you want what is in the best interest of your child. However, there may be times when the child’s parents do not agree on the best path forward when it comes to education, legal, or medical issues. 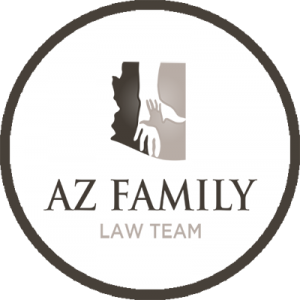 You may need to see help from an Arizona family law attorney to ensure that your concerns are heard and taken seriously by the other parent and the court. When it comes to vaccines, you are talking about the health of your child so please take the issue seriously. Current Arizona law requires that all children, with very few exceptions, receive vaccinations. If the matter is brought before the courts and a child does not meet the current exemption requirements, then the judge is likely to rule in favor of a child receiving vaccinations. The new bills being debated may change and expand exemptions, but they are not the law as of this writing. Please educate yourself on vaccine information and legal requirement and talk to your attorney and doctor about the best path forward. 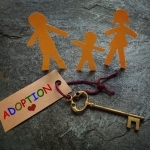 Click here for information on social media impact on children of divorce.